ELEGANT, UNDERSTATED AND VERY WELL BUILT. MADE ESPECIALLY FOR HIGH BUMPER AUTOS AS SUBURBANS,YUKONS,EXCURSIONS. 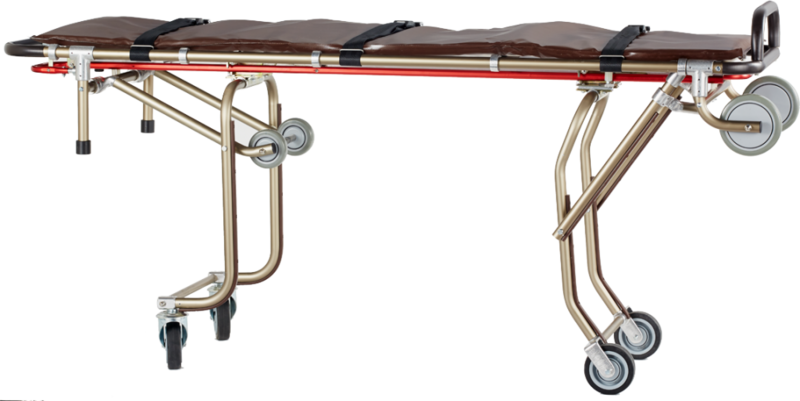 Our MC-100A-S multi-level, single person mortuary is built of sturdy anodized aluminum tubing that will not oxidize and will keep looking new for years.